How should we understand the relation of the Holocaust to the broader historical processes of the century just ended? How do we explain the bearing of the Holocaust on problems of representation, memory, memorialization, and historical practice? 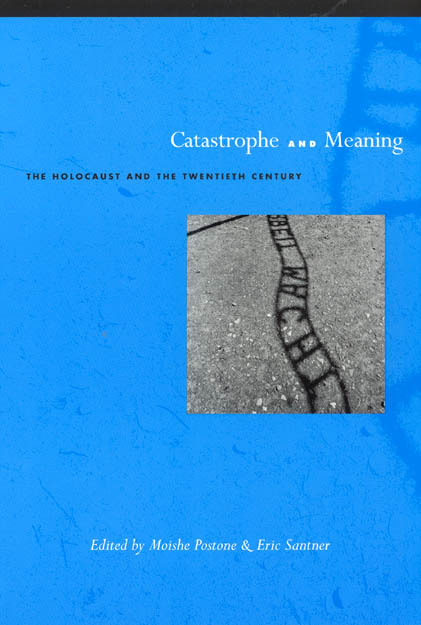 These are some of the questions explored by an esteemed group of scholars in Catastrophe and Meaning, the most significant multiauthored book on the Holocaust in over a decade. This collection features essays that consider the role of anti-Semitism in the recounting of the Holocaust; the place of the catastrophe in the narrative of twentieth-century history; the questions of agency and victimhood that the Holocaust inspires; the afterlife of trauma in literature written about the tragedy; and the gaps in remembrance and comprehension that normal historical works fail to notice.